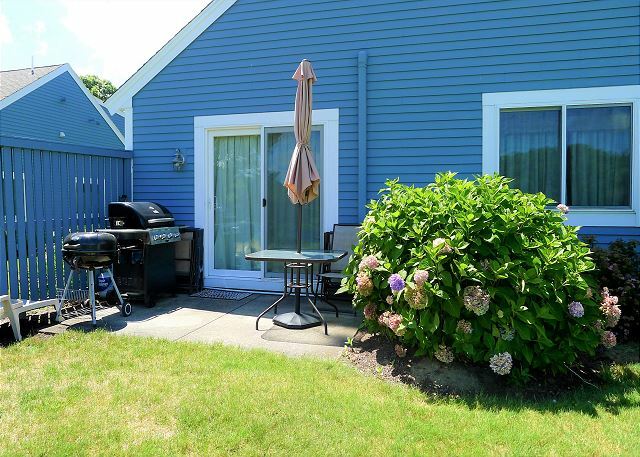 This lovely patio home in the Middlecott Villages section of Ocean Edge Resort in Brewster couldn't be in a better location! 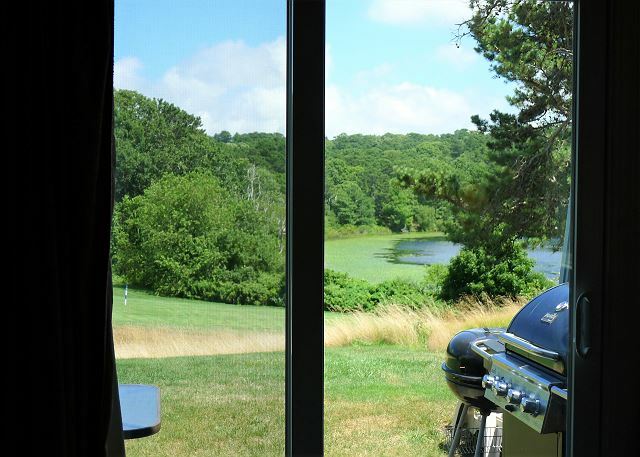 Situated directly on the fairway with views of Sol's Pond, you can truly unwind on the patio - complete with dining table, umbrella, and gas grill - after a day of fun in the sun. 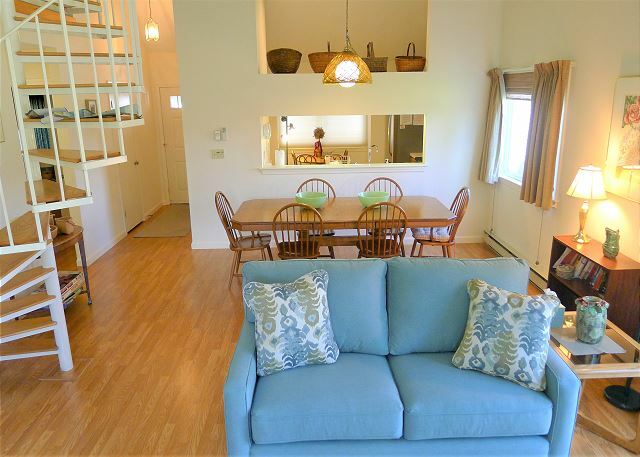 This detached home features two bedrooms and a great sleeping loft. 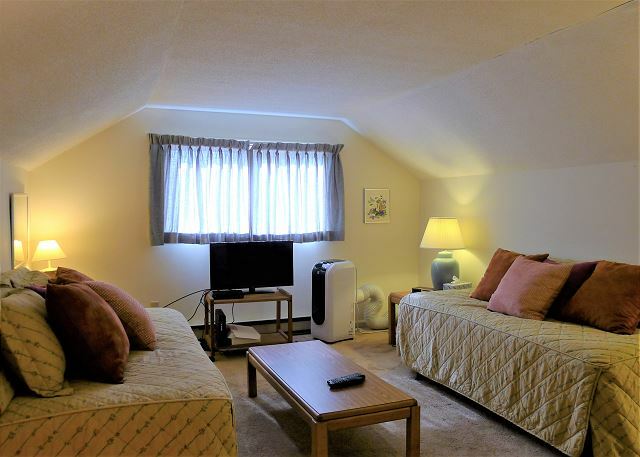 One bedroom features a queen size bed and the other, two twin beds. 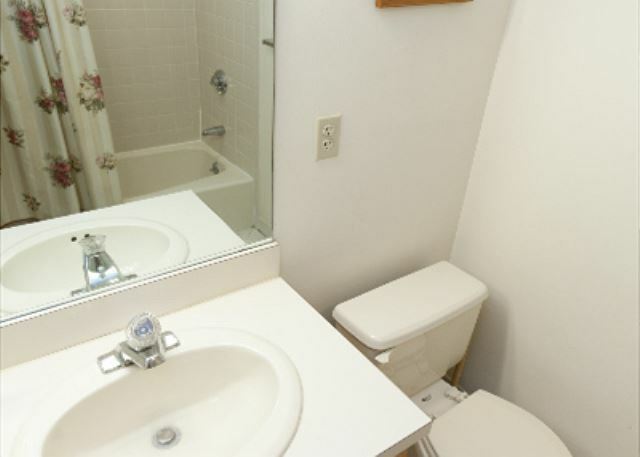 There are two full bathrooms, a fully equipped kitchen, dining area seating 6 and living room which includes a queen sleeper sofa, stereo/CD player, TV & DVD player, central A/C, and ceiling fan. 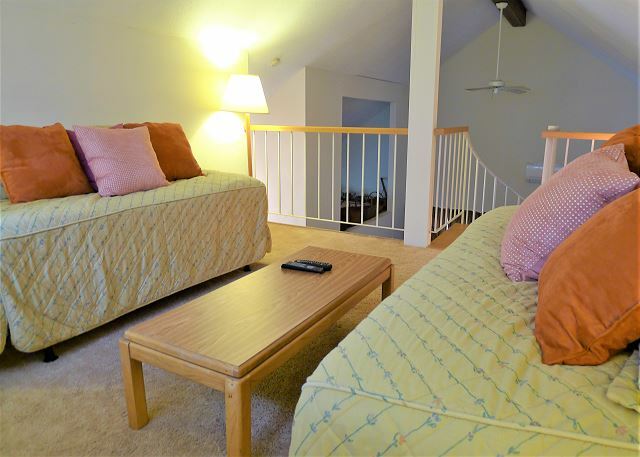 The 2nd floor loft accessed by a spiral staircase is outfitted with two twins and an additional A/C unit. DO YOU HAVE TWO GROUPS WHO WANT TO VACATION "TOGETHER BUT SEPARATE"? ASK ABOUT ALSO RENTING 48 MIDDLECOTT RIGHT ACROSS THE STREET OR 51 MIDDLECOTT A FEW UNITS DOWN! Guests of this home will have access to Ocean Edge privileges except access to the private beach area. 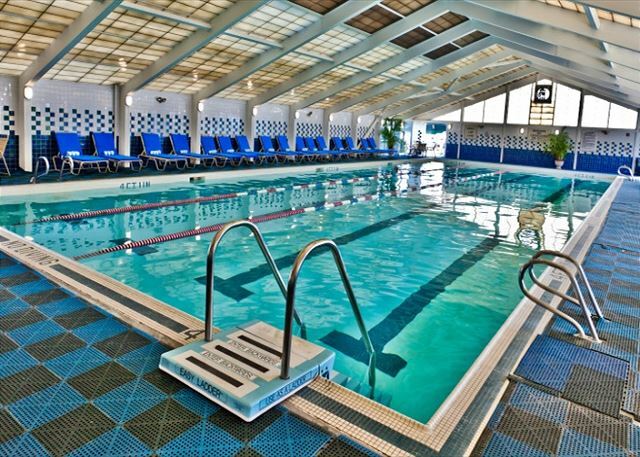 The resort charges fees to use these amenities which will include the use of Fletcher indoor & outdoor pools, Fletcher cardio room, Arbor outdoor pool, the fitness center with outdoor pool, and tennis courts. 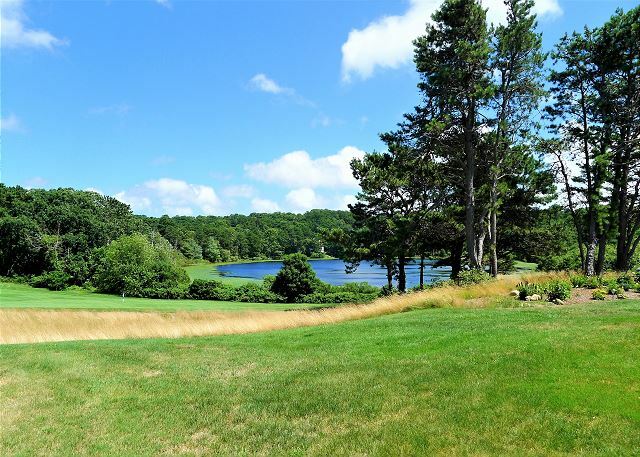 This home does not include golf privileges. You must complete your OE guest list and submit it to our office 10 days prior to your stay in order to have privileges and pay Ocean Edge directly upon arrival to Ocean Edge. State and local taxes are applicable and may vary based on local ordinances and bylaws. These tax rates are subject to change. 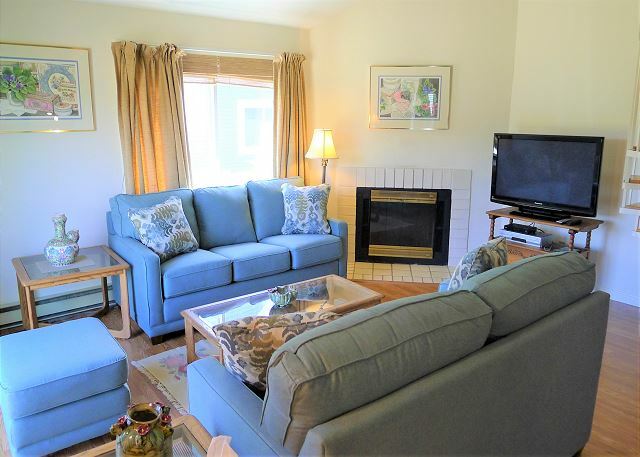 We enjoyed our stay at 69 Middlecott in Ocean Edge. Good amount of space for 2 adults and 2 teenagers. Quiet. Nice view. I was very impressed with Tara's response to my many email requests. 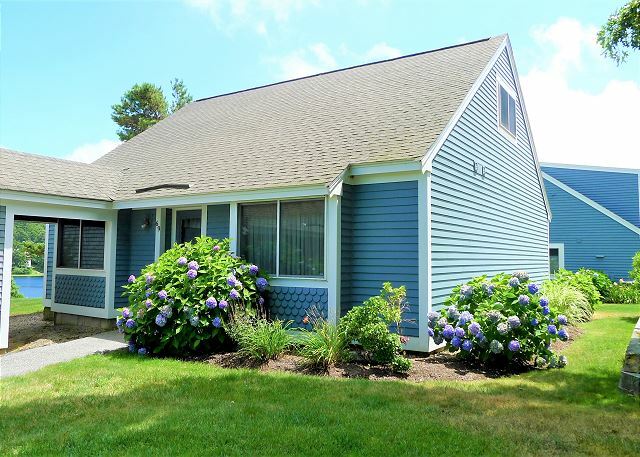 She made the process very easy as well as reassuring, which made my choosing Cape Cod Rental easy. Have stayed in this property twice in five years and find it acceptable for a family of two adults and two children. We traveled as a family of 4 adults, and had a wonderful stay in this condo. 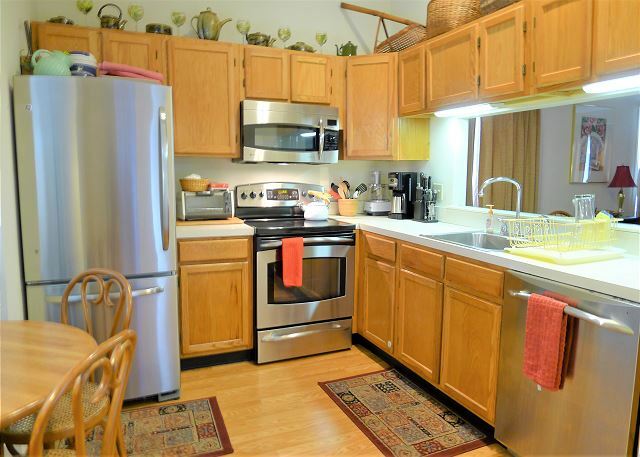 It is very conveniently located, very nicely equipped and tastefully decorated. We loved our visit to the Cape, with almost everything accessible within a 20-30 min drive. 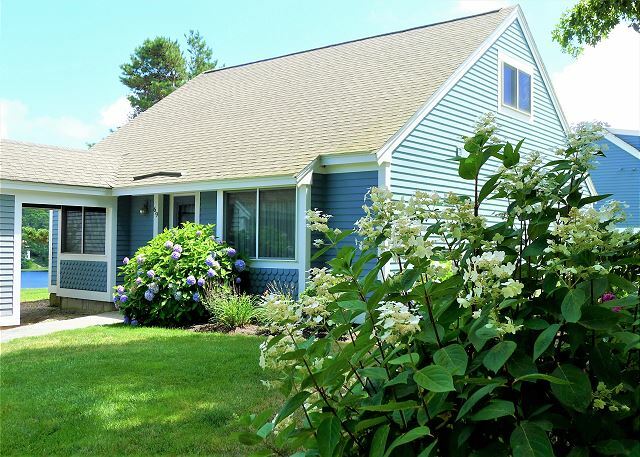 This unit is very private, and best suited for 4 adults, 6 may be a crowd.